Just yesterday I signed up a client being charged with malicious destruction to property over $250. This is a felony in Massachusetts. The allegations, at least according to the cab driver are that the passenger disputed the fare and refused to pay. Out of anger the passenger supposedly then broke a piece of the interior of the door. The cab driver called the police and the defendant was arrested. In the past year alone I have had several people meet with me for representation on cases with very similar facts. There is no doubt in my mind that in Massachusetts there is a trend where cab drivers falsify claims of malicious destruction to property. The motivation for this and defenses to the chargers are explored in this post. In each of the cases in which I have been involved the cab drivers have cheated or attempted to cheat unsuspecting customers. Some of the customers are from out of town and not entirely familiar with the roads. Others have been drinking and are not initially attentive to the route the drivers take. Other times the drivers speak or pretend to speak little English. They exploit the language barrier, play stupid and take more circuitous routes to the financial detriment of the customer. The problem arises when the driver finally arrives at the destination and the fare is something outrageous. An argument follows. Cab drivers then call the police and claim that pre-existing damage to the vehicle was just caused by this customer. Other times the cab driver locks the door and, with the passenger drives to the nearest police station to make a complaint. The charges that follow are almost always malicious destruction to property. The cab drivers are scamming the passenger. They want money to pay for damage that the accused never caused. This form of extortion is reprehensible yet very common. There are however defenses to these crimes. Cross complaints are often a good idea when the conduct of the accuser amounts to the commission of a crime. Stealing from passengers is a crime in and of itself. There are travel guides, books and websites advising how much a cab should cost from point A to point B. A case we handled last year involved a cab driver who picked up a couple in the financial district of Boston. They wanted to go the North End for dinner. The cab driver took them on Route 93 south then through South Boston back out to Atlantic Avenue and to the North End. The fare was ridiculous. The couple objected to the fare and to the fact that they were taken on a lengthy ride to an address just over a mile from their pick up point. The cab driver took them to the police station. The officers made an arrest. A cross complaint was later filed and all charges were ultimately dismissed. Trust me when I tell you that clerk magistrates are well aware of this game. Another way of defending these cases is to show that clerk magistrate that you were cheated. Again, using legitimate guides you can show what the fare should have been. You can also try to get records of that cab driver’s history of making complaints. 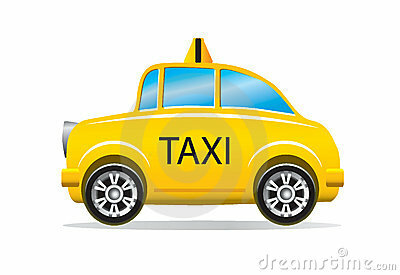 The cab company itself might have these. In one of our recent cases we were able to prove that the cab driver sought money for damage that he had reported weeks before the alleged incident. This resulted in a dismissal of the complaint application. At the Law Offices of Stephen Neyman we are committed to defending the accused and exposing lying complainants. Call us at 617-263-6800 or send us an email. Let us get started with your case.